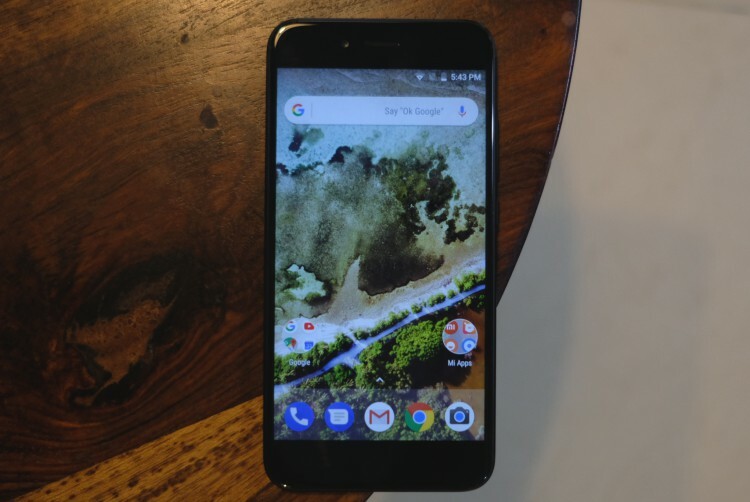 Android One comes with the promise of timely updates, but the Xiaomi Mi A1 is an example of why it might not always be a success. While Nokia has been able to update its phones to Oreo and give the latest security updates in time, manufacturers such as Xiaomi have been struggling, even with Android One. Mi A1 device owners finally got the February security patch over the weekend, just as it’s time for the March update. 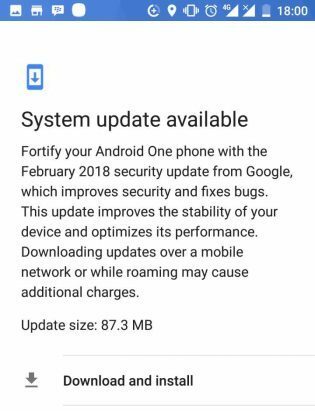 As you can see in the screenshot below, this update is sized at just 87.3 MB and does not bring anything other than the February security patch in tow to the Mi A1. There could be some improved user experience with this update, though it’s largely focused on the security front. To point out the obvious, it’s a complete month late. Xiaomi is rolling out the February security patch to Mi A1 users via the conventional over-the-air (OTA) update system. If you haven’t received the notification yet, there is nothing to worry as it’s a phased rollout and users will receive the patch globally over the next week or two. There is currently no word on whether this minor update includes any fixes for the camera and battery problems. While Xiaomi may have established its name in the budget phone market via its ‘value for money’ proposition, the company is still lacking on the update front. Its newest phones don’t run the latest version of Android, and the company only pushed the Android 8.0 Oreo update in December-January. Even newer phone makers such as HMD Global and Essential, who use almost stock builds of Android, are doing a much better job at providing latest software updates to their device owners. With this update, the Mi A1 once again remains just one step behind, which can be counted as a positive to some extent.